Ah, it’s that time of year again. Another not of the fragility of meteorologic models – they should be used only as a guide, not as 100% truth. See that red marker on the map? It’s pretty much a whiteout right now, while the model reads rain. When all else fails, look out the window. 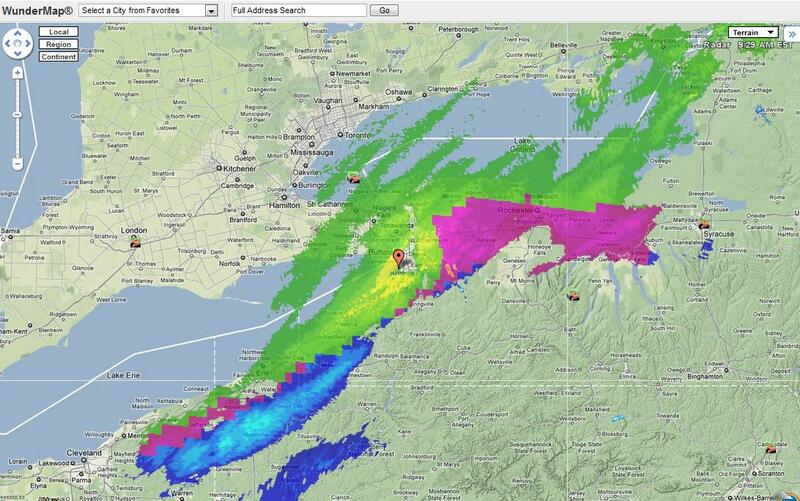 Ever wonder why precipitation models of the Weather Channel, AccuWeather, so one look a little…odd? Often, they are just models, especially on days like this – the temperature is around 36F but dropping quickly. Low lying areas (such as those below the Niagara Escarpment) show rain in the model, whereas the uplands of the Allegheny “mountains” show snowfall. PS. 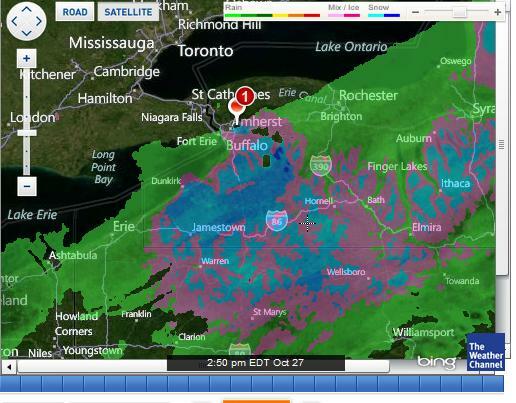 It is neither snowing nor raining in Buffalo right now.